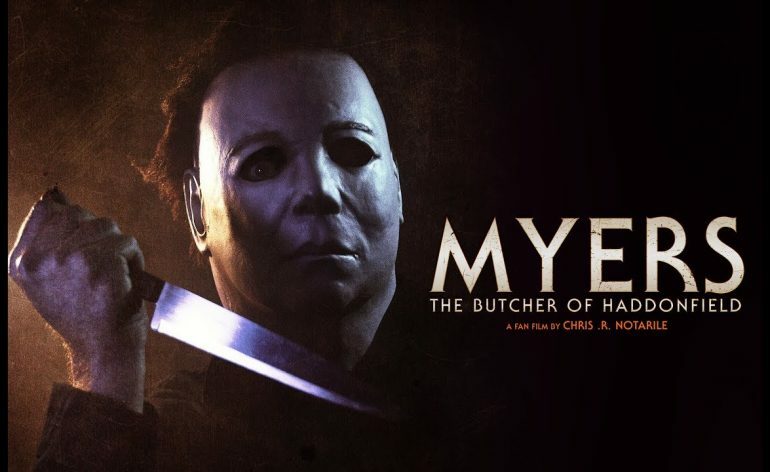 Fan made short Myers: The Butcher of Haddonfield is here!! Chris R. Notarile and his company, Blinky Productions make a lot of fan films on YouTube. 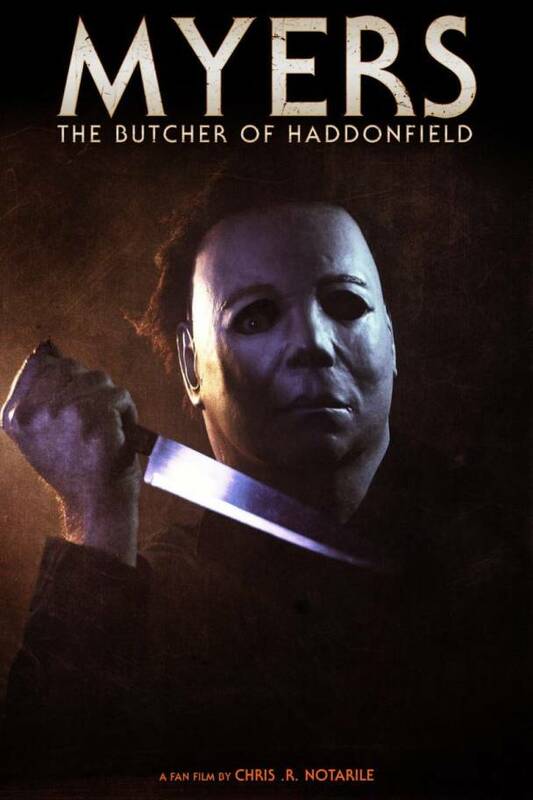 Now he is doing Myers: The Butcher of Haddonfield. The eight minute movie is available to watch on YouTube. Written, directed and edited by Chris R. Notarile. 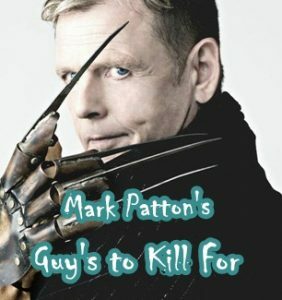 Produced by Will Anthony, Hannah Sophia Van Rossum and Kristopher Price with executive producers Kaylie McClausland, Keenan De Phillippo, Austin Grgich and Patrick Farmer. Myers: The Butcher of Haddonfield takes place in 1978, mere moments after Michael wakes up on the lawn of Tommy Doyle’s house after being shot six tables by Dr. Sam Loomis. Michael’s night continues on as he seeks shelter from the police while running conjunctive with flashbacks of the days before his transfer, when the doctors in his asylum were debating whether or not to approve his transfer. While some remain skeptical, noting that they believe his coma-like disposition is all a ruse, others want to go home for the day and quickly dismiss the case…setting the bloody events of Halloween night into motion. 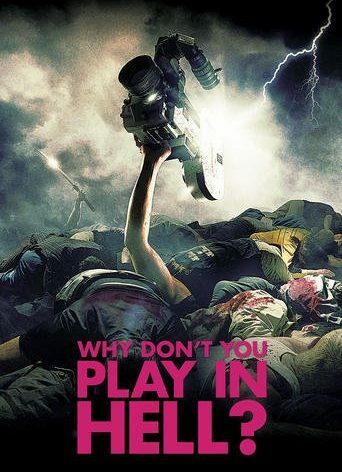 Starring: Dani Scott, Jeff Odachowski, John Atkins, Laura Van Yck, Matthew Thomas Stallings and Erin Lanier. Chris Callaway as Michael Myers.